Here featured is a collaboration between Beatrice Kaskowitz, Alex Floor, and Kate Russell. Beatrice wrote the poem. 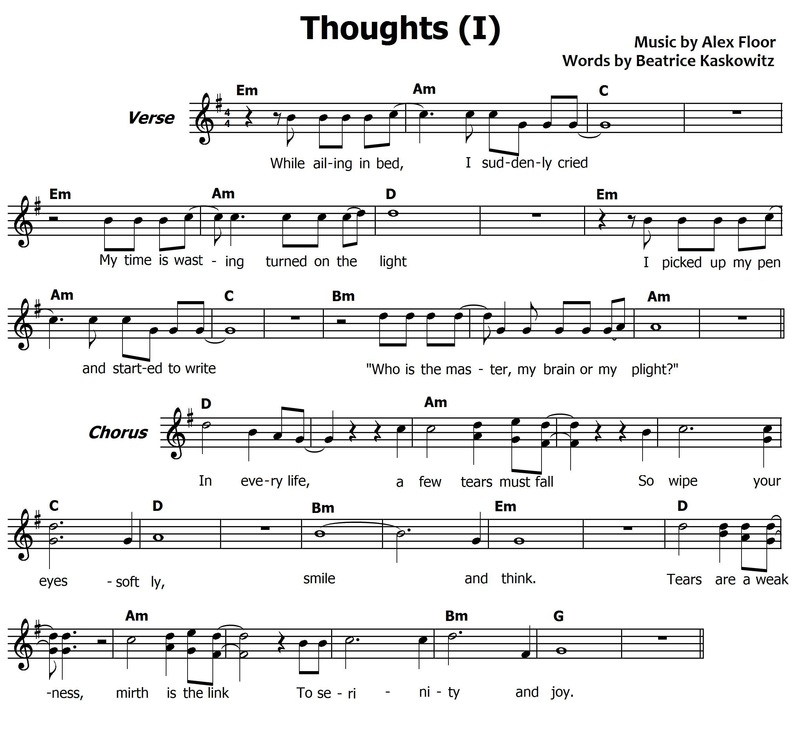 Alex wrote a melody for the poem, performed the instrumentation and sang harmony for a recording, on which Kate sings the melody. Kate and Alex are Brooklyn musicians and they are two thirds of a brand new and as-yet-unnamed band. Contact Kate at russekvegan@gmail.com or Alex at alexjfloor@gmail.com, and listen to more of Alex’s Music. My time is wasting and turned on the light. So wipe your eyes softly, smile and think. Download Thoughts (I) or click below to listen.